If you ask a healthcare provider to state the healthcare laws and regulations that give them a headache, you are likely to receive a range of responses. The compliance burden in healthcare does not originate from a single law or set of laws, but from diverse sources such as the Anti-Kickback Statute, MACRA, HIPAA (and the HITECH ACT), EMTALA, the Anti-Markup Rule, the Civil Monetary Penalties Law, and a number of other federal laws and regulations. Then, of course, there are the state laws, licensing requirements, coding and billing guidelines, and the rules of state boards. The list could go on, and branches out in various directions based on the type of provider involved. Many (and perhaps most) of these laws may be necessary evils: they do attempt to serve important functions in a complicated landscape. Yet the burden they impose is undeniable, and one of the most worrisome for many physicians and hospitals is the Physician Self-Referral Statute, more commonly known as the Stark Law (the "Stark Law"). The Stark Law restricts physicians from making referrals for certain designated health services ("DHS") to an entity with which he or she has a financial relationship, which includes ownership, investment, or compensation relationships, unless the physician qualifies for one or more exceptions. The DHS at issue cover a wide range of services, including, but not limited to, clinical laboratory services, therapy services, certain imaging services (such as MRIs, CAT scans, and ultrasound services), durable medical equipment and supplies, and outpatient prescription drugs. In addition to its severe penalties (e.g., liability for all of the payments received under the impermissible relationship; potential False Claims Act or Civil Monetary Penalties consequences; the possibility of exclusion from the Medicare program), what makes the Stark Law so threatening is that it is a strict liability statute. The government does not need to prove an element of intent to establish a Stark Law violation, and unlike the safe harbors of the Anti-Kickback Statute, the Stark Law exceptions must be completely satisfied: there is no mercy extended for practices only slightly outside of an applicable Stark Law exception. With this background established, it is now time to consider the recent request for information ("RFI") issued by the Centers for Medicare & Medicaid Services ("CMS") on June 20, 2018. This RFI, titled "CMS seeks public input on reducing the regulatory burdens of the Stark Law," asks for public comment and recommendations on ways to address undue impacts and burdens imposed by the Stark Law on healthcare providers. As part of its attempt to engage and hear from the provider community and to foster a more value-based healthcare system (what it calls its "Regulatory Sprint to Coordinated Care"), CMS has posed a series of twenty invitations for comment in this RFI covering certain aspects of the Stark Law. These invitations range from such broad comments as "Please share your thoughts on the compliance costs for regulated entities," to more detailed queries regarding necessary exceptions for providers participating in alternative payment models and the utility of current exceptions like the personal services exception. The focus of this particular RFI is to find means to lessen the obstacles that the Stark Law creates for improving care coordination and collaboration among providers. Better coordination of healthcare delivery has been and remains an important goal of many health reform efforts, yet by its nature it involves a degree of referral between providers, many of whom are subject to the Stark Law. In the words of CMS' current administrator, the current form of the Stark Law "may prohibit some relationships that are designed to enhance care coordination, improve quality, and reduce waste." Providers and other observers have been making similar claims for some time; the government is at least signaling that it will give these arguments a fair hearing. If a health care provider wishes to offer his, her, or its input--or simply read in more detail CMS' perspective on these issues--the RFI can be found on the online federal register (search for 83 FR 29524). This RFI does more than represent a request by the government for comments. It also offers a reminder that the Stark Law is a significant, formidable, and indeed ever-changing regulatory pillar in the healthcare landscape. Regardless of whether a particular provider chooses to offer its input to CMS as to the Stark Law's regulatory burden, there is no time like the present for a physician practice, hospital, or other provider who engages physicians in the delivery of DHS to review its compliance with the Stark Law. This is especially the case with regard to changes to or clarifications of the law over the past few years. Particularly for large physician practices, the consequences of failing to do so can be severe, since noncompliance with regard to one or a few physicians can spell costs for the entire practice. But no physician can afford to avoid the requirements of this strict liability law: ignorance is even less of an excuse here than it is elsewhere in the compliance arena. 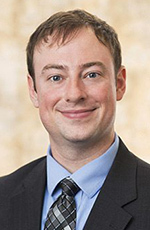 Chris Thompson is an attorney practicing within the Health Care Industry Group of Burr & Forman LLP.